On November 3, Shinpu-Ren Karate School took 4 students to The USKA California State Championships in Riverside California. The youngest of the team was 6 year old Cody Green, a first time competitor that captured The State Champion Kumite Title. The oldest member of the team, Black Belt instructor Sensei Todd Keightley, took Kumite Champion and Adult Black Belt Kumite Grand Champion. 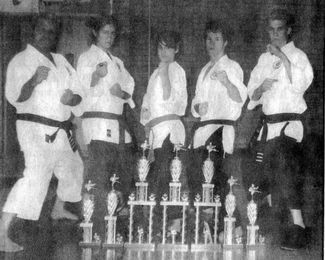 Representing all three ranks, beginning, intermediate and Black Belt, three of the four, team members won Kumite Champion Titles. As a whole the team brought home 11 wins, 10 of which were top three positions plus Grand Champion. 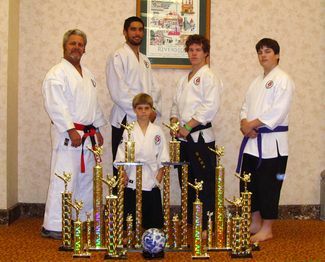 Five members of the Shinpu-Ren Family Karate School in Prescott, have returned victorious from the USKA California State Championships. The tournament was held in Riverside on Tuesday March 21, 2006. Both Black Belt members of the team, Sensei Morris and Todd Keightley, captured First Place Titles in their Kumite divisions. One member of the team, Natalie Yslas captured a First place Title in Kata. All team members placed in the top three in all of their events.